The beginning of the week indicates that you shall setup your mind and work conditions in such a way so that your social life improves up to the maximum. You will be happy at heart and your health and happiness would remain intact throughout the week. There would be substantial increase in your happiness and financial position in the mid of the week. The beginning of the week is not auspicious for your state of mind and general health. Your immunity would get affected from the extra stress coming from failures in accomplishing important tasks. There would be some improvement in state of mind in the mid of the week but this improvement won't be very satisfactory. The beginning of the week is giving indications of increase in income and gains from business. You would be enjoying the cooperation of your elder brothers and your interest in share market investment is likely to get increased. This is the right time to take interest in speculative activities. Attachment with children and mother would increase. The beginning of the week indicates possibilities of promotion with transfer. Although the job profile would be up graded but some extra load of responsibilities won't let you attain the desired job satisfaction. The business related journeys would bring in average results. The gains would be very average in the middle part of the week however you won't leave any stone unturned in converting ordinary deals into more profitable. You would also be seeking the support of your elder brothers. The beginning of the week is favorable for your father, long and beneficial work related journeys and religious inclination. During this time you are likely to get the blessings of your spiritual guides. You would be taking interest in regular prayers, meditational practices, breathing exercises, Yoga, higher education and social activities. The mid part of the week is perfectly fine for your work and for getting desired support from subordinates. The beginning of the week is inauspicious for health and state of mind however work condition is likely to improve. You are advised not to be aggressive unnecessarily rather try to work with confidence and if possible then delay the Muhurat of new tasks for a couple of days. You will be worried about the health of your spouse. The mid part of the week is giving an indication of betterment in your position and to refresh and revitalize yourself you are advised to go on a journey to a beautiful hill station of tourist attraction along with your spouse. The beginning of the week indicate that you would be putting in lot of efforts for the rectification of compatibility related issues with your spouse and partners but you won't be successful in doing so rather your failures in this connection would make you feel more frustrated. The mid part of the week shall be more frustrating however the possibility of some sudden financial gains would restore your happiness and confidence. The beginning of the week are giving indications of health related trouble, low immunity, low confidence, low enthusiasm and worries related to the wicked endeavors of enemies and the unwanted burden of loans and legal issues. The mid part of the week would generate bright hopes of conjugal bliss however that won't meet your standard of expectation. The planetary transit also indicates ray of hope for the betterment of relation between husband and wife. The beginning of the week is auspicious for earning betterment in professional life and income because of your good luck in speculation. You shall be winning lot of appreciation because of the expert advice given by you to your people. The support of sons and the advantage of education along with spark of emotional relations shall also be experienced in this week. 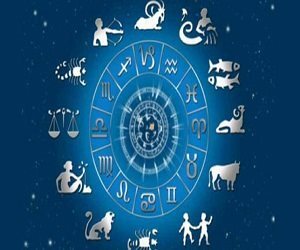 In the beginning of the week there are indications that you would be getting better source of income with the support, co-operation and blessings of mother. It would be beneficial to stay and work at native place in close association of family members. You would be spending money on the maintenance of your vehicle and house. The mid of the week indicates that you would be spending money on education, your children, speculation, entertainment and love relation. The beginning of the week is highly favorable for your health, happiness, social life, parties with friends and relatives, co-operation of siblings and social activities. You will emerge as an influential and highly respectable person in society. Your social activities will involve some noble cause which would bring a new recognition to your organization. The beginning of the week marks betterment in pleasing atmosphere in the family along with presence of perfect harmony and peace. The increased inflow of money would enhance your saving potential. The support of family members would provide an extra edge to earn money very quickly. In the mid of the week there would be better relations with your kith and kin and social life would also be up to the mark.